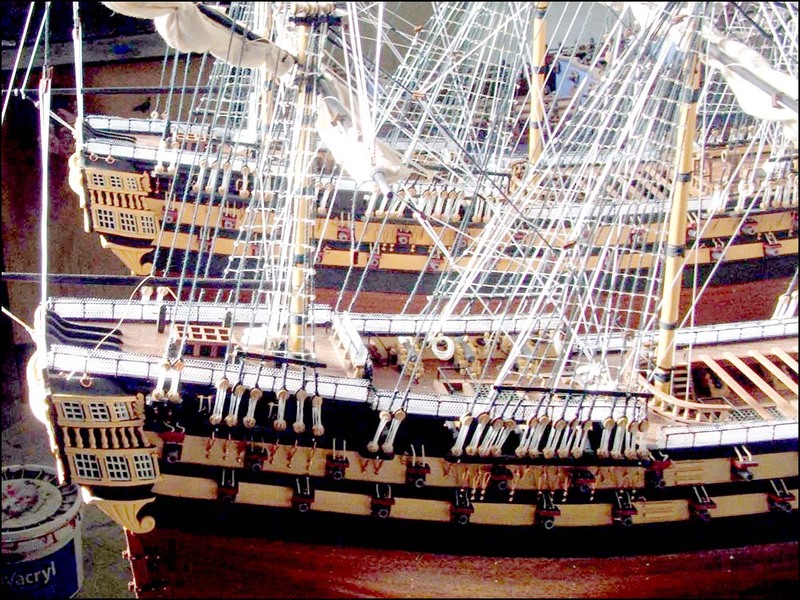 The Berlin was a 17th-century German frigate and this beautifully painted Berlin wooden ship model is a superb gift for German friends. The frigate Berlin belonged to the Brandenburg Navy and it was built in Zeeland in 1674. The Brandenburg Navy had almost thirty active warships by the year of 1680. These ships were used primarily to secure control over hostile trade routes and maritime trading, but also to provide naval defence and reinforcement on various military operations, which would frequently involve engagements with unfriendly warships.